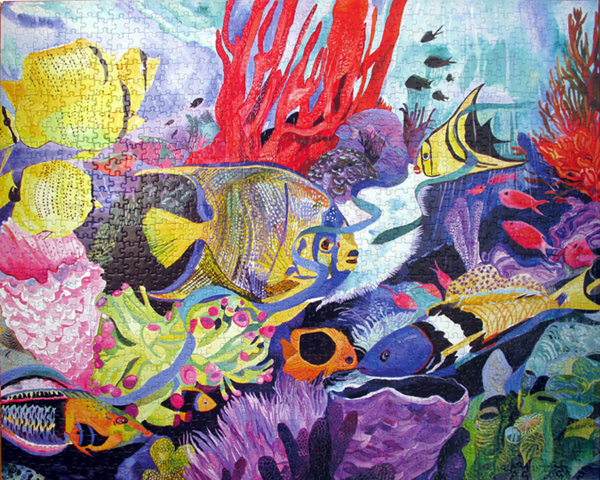 I want to share my latest creation.. My Jigsaw Puzzle, Rainbow Reef. Its 1000 Pieces and so fabulous to put together. You can order these on my website under Jigsaw Puzzle. The 1000 pieces will keep you busy for sure..
the color quality is terrifc and fits perfectly together when the pieces are correct.